The world’s largest gypsum dune field (read: a whole lot of rolling white sand dunes) is protected as White Sands National Monument, between Las Cruces and Alamogordo on US-70. Going for a walk along the dunes to admire the otherworldly view is reason enough for a visit — take off your shoes, because unlike beach sand the gypsum doesn’t retain the sun’s heat, so even in summer your soles will be comfortable. Even better, bring a sled or board, pick the highest dune you can find, and point yourself down it. For the last 40+ years, the skies outside of Albuquerque have been transformed each October as the International Balloon Fiesta, the largest ballooning event on Earth, sees the launch of hundreds upon hundreds of hot-air craft. The vibrant colors of the balloons, their creative shapes, and the sheer mass of them — all floating against the backdrop of the stark beauty of central New Mexico — makes for a sight you won’t find anywhere else. Regardless of how you feel about opera, checking out a performance at the Santa Fe Opera‘s Crosby Theatre is a seriously unique experience. The venue has undergone multiple renovations since opening in 1957, but the current structure maintains the open-air aesthetic, providing the audience with views of New Mexico sunsets over the high desert mesa. 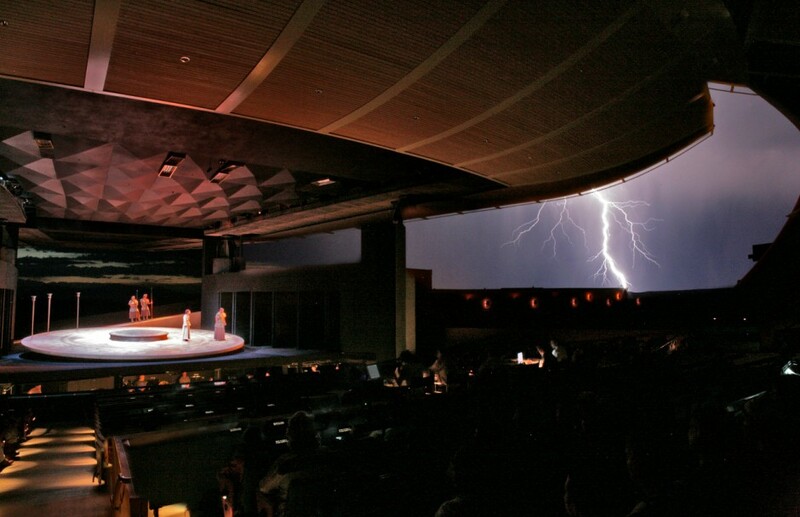 Distant summer storms rage as the story unfolds onstage. Don’t miss the pre-show tradition of fine-dining tailgating in the parking lot — it’s tailgating, opera style. 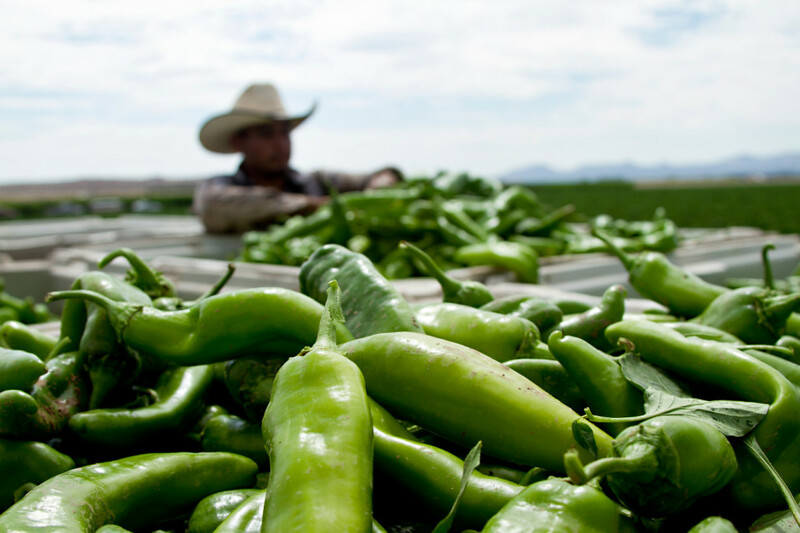 There’s so much going on in the culinary world in New Mexico, but the star will always remain the green chile. This quintessential New Mexican ingredient is beloved and celebrated to the extent that it’s found its way into all manner of recipes that, at first glance, might seem a bit bizarre (but on tasting will make total, ingenious sense): pizza, pie, and donuts, for example. When you’re in the state, keep your eyes peeled for these inventive creations, as well as classic dishes like green chile stew and green chile enchiladas. Beneath the Guadalupe Mountains of southern New Mexico lies one of the world’s most extensive cave systems, a network of 119 (and counting) limestone caves that forms the centerpiece of Carlsbad Caverns National Park. Its features range from massive chambers (like the 357,469-square-foot Hall of the Giants) to fanciful formations (Totem Pole, Rock of Ages) to eerie and mysterious nooks (the Bottomless Pit, Lake of Clouds). Self-guided tours give you access to the main chambers, but for a more intimate look, try a ranger-led expedition. A whole lot of the world got a whole lot more familiar with the sights and sounds of Albuquerque and its surrounding landscapes in 2008, when Season 1 of Breaking Bad premiered. 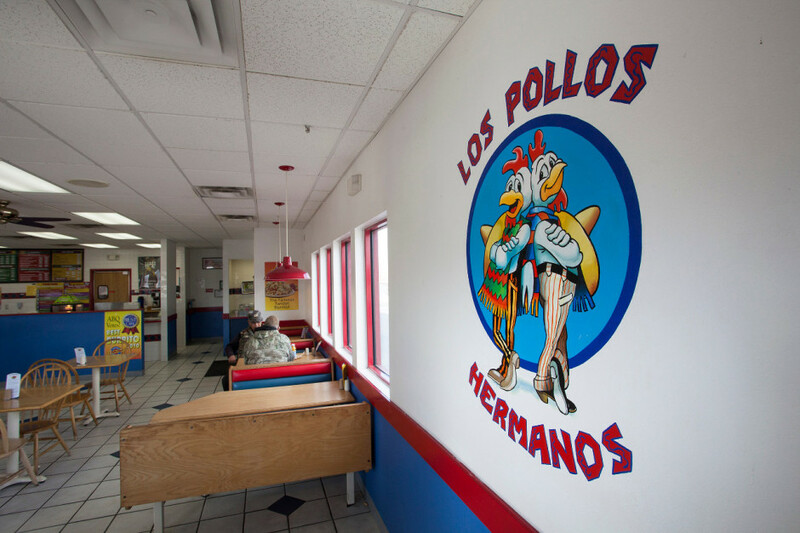 Now when you visit, you have multiple options for a Breaking Bad tour that takes in filming locations from the show — there’s even Breaking Bad-themed hotel packages. And of course, the saga continues with the spinoff Better Call Saul, which looks set to add some new stops to the tour itinerary. In western New Mexico, the pueblos of the Zuni and Acoma peoples are separated by 75 miles and the craggy volcanic landscape of El Malpais National Monument. A trail once connected the two settlements, and today you can walk the eight or so miles that remain. It’s a difficult, 6-hour trek one way, owing to the treacherous terrain, but definitely worth the effort for a look at a side of New Mexico most visitors don’t see. 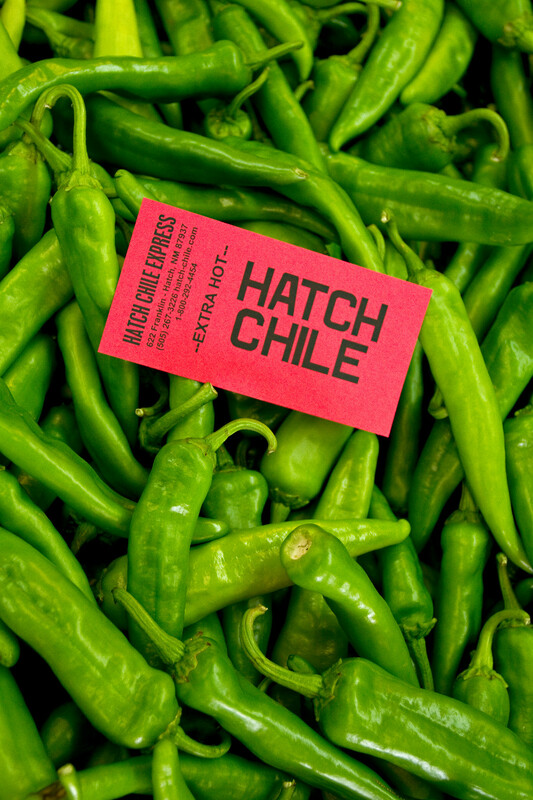 You may have heard the name or even tasted one of these legendary chile peppers, but to truly grasp what the big deal is, check out the Hatch Chile Festival, held in the eponymous southern New Mexico village each summer. You’ll get to try classic dishes that make use of the ingredient, and of course sample rotisserie-roasted peppers straight from the hopper. See why everyone goes a bit crazy for the Hatch each harvest season. 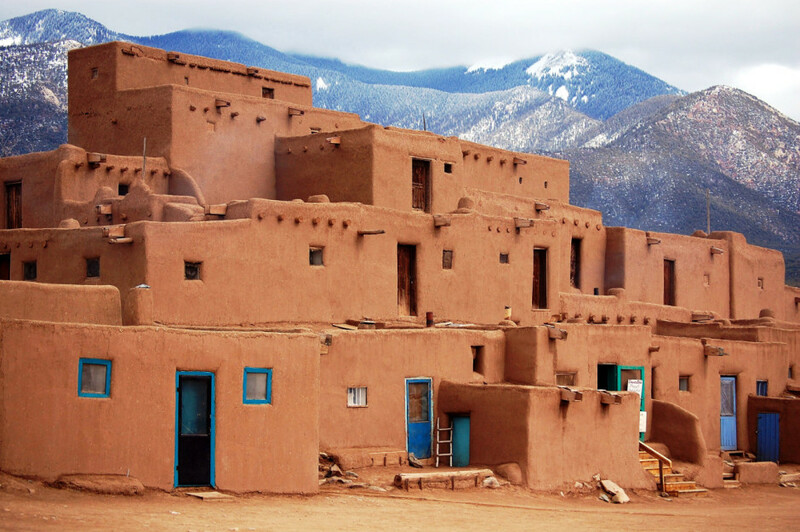 Sometime around 1200 BC, a culture we now refer to as the Ancient Puebloans arose in the Four Corners region of the US. Their “Golden Age” arrived circa 900 AD, and in New Mexico you can visit ancient cities and other sites from this era: Chaco Culture National Historical Park in the northwest, Bandelier National Monument just west of Santa Fe, Gran Quivira in the center of the state, and Gila Cliff Dwellings National Monument in the southwest. Archaeologists are still unsure why, just a few centuries later, the culture disappeared. After you’ve finished touring Santa Fe Plaza and all its incredible galleries and museums, make the short drive out to Museum Hill. Here, you’ll find the Museum of Indian Arts & Culture, the Museum of Spanish Colonial Art, and the Museum of International Folk Art, along with the the Wheelwright Museum of the American Indian and the Sante Fe Botanical Garden. Best part is all of these facilities are set around a central square, providing easy access for a multi-museum afternoon, and there’s a cafe for when you need a break. 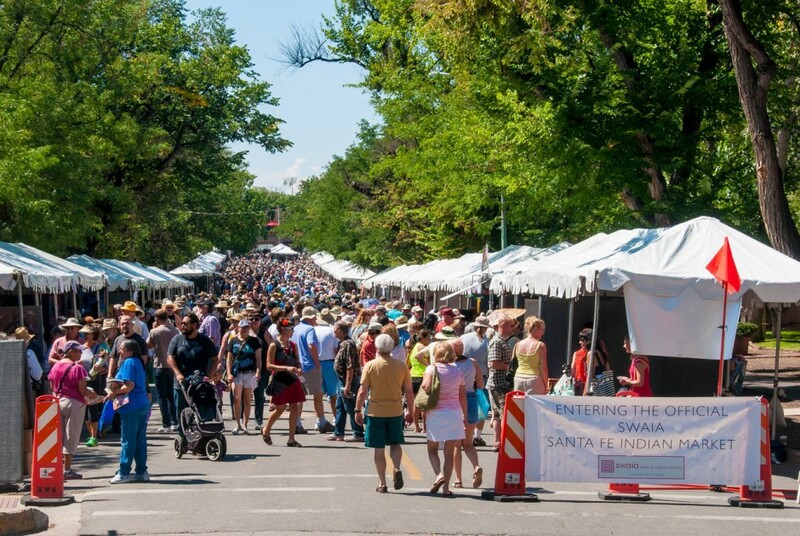 Arguably the most important event to take place in Santa Fe Plaza (and there are quite a few), the Santa Fe Indian Market sees over 1,000 Native American artists — representing cultures from around New Mexico, the Southwest, and the nation — showcase their work in what’s considered the largest event of its kind anywhere. Somewhere around 175,000 people visit for the event each August, and if they’re smart they arrive a few days early to take in some of the film screenings, live music, lectures and workshops, and artist award ceremonies that are part of the weeklong run-up to the market. Decadent breakfasts are in, and New Mexico lays claim to one of the original dishes in this culinary genre. You may not want to face down a breakfast burrito every morning of your life (these suckers are hearty! 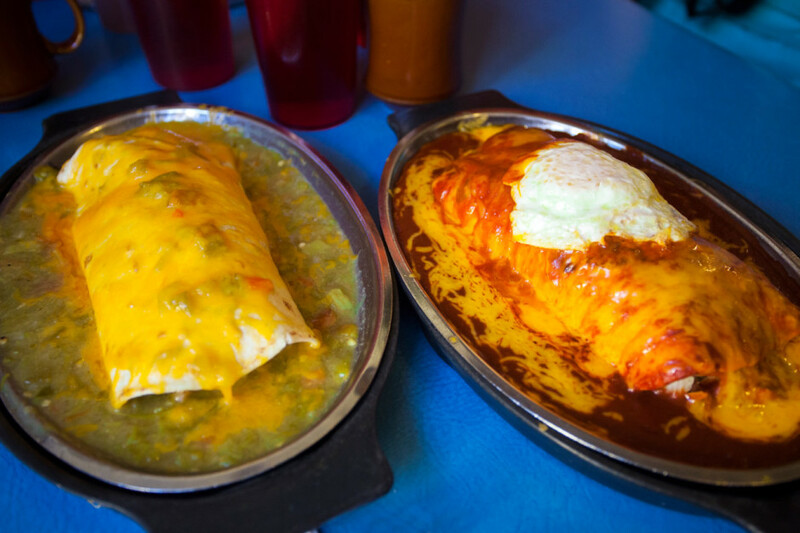 ), but if you’re traveling around New Mexico, take up the challenge and follow the Breakfast Burrito Byway. For those unfamiliar with the creation: Think a big flour tortilla stuffed with bacon, potato, egg, and any number of bonus ingredients, all smothered in cheese and — of course — New Mexico chile (red or green…we won’t venture into that debate). Initially established in 1899, what’s today known as the Gila National Forest was the world’s first such protected public space. It was later expanded and set aside as designated wilderness thanks to the efforts of one of the forefathers of American conservation, Aldo Leopold. Today, the Gila is one of the largest “blank spaces” on the US map — an excellent way to explore it is via the 20-mile Gila Loop Trail (trailhead at Gila Cliff Dwellings National Monument). All the potential and all the hazard of our modern nuclear world was born under tight security on the Pajarito Plateau in northern New Mexico. At Los Alamos in the early 1940s, government scientists working under the auspices of the Manhattan Project developed the first atomic bomb. The Los Alamos National Laboratory has been a hotbed of invention ever since — learn about it at the Bradbury Science Museum right in town. And check out the Los Alamos Historical Museum for more on how this notorious place got its start. The modern age may have kicked off at Los Alamos, but humankind’s story in New Mexico goes back much, much further. The Pueblo peoples currently living in the state (there are 19 different groups speaking four distinct languages) represent a cultural lineage that has remained in the same place longer than any other in America. Use this handy map to plan a visit to one of New Mexico’s 19 pueblos, and remember to always show respect to local requests and regulations (photography by permit only, for example). If you’re seeking true New Mexico, you’ll find it here.